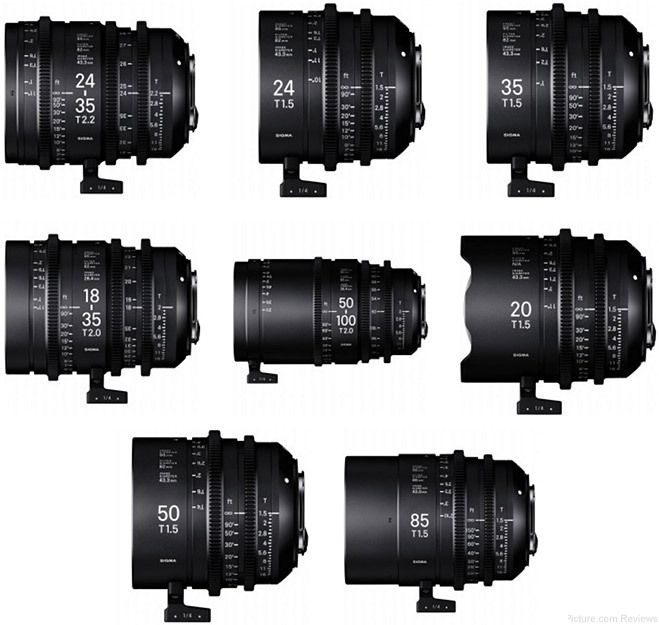 Amsterdam, The Netherlands — September 7, 2016 – The SIGMA CORPORATION is pleased to announce that it will enter into the cinema lens market with the release of its SIGMA CINE LENSES, designed specifically for cinematography. In the world of digital film production, there is an increasing demand for higher resolution, and SIGMA’s new lineup of high-performance lenses is compatible with the latest, high-resolution digital cinema cameras. SIGMA has developed its own production system by establishing the required technology for mass production of high-performance lenses for ultra-mega-pixel shooting. The company feels this valuable new lens line could create a fundamental change in digital film production, and provide a new solution for cinematographers. High Speed Zoom Line offers the constant aperture of T2 throughout the zoom range, and the optical performance is ready for high-resolution shooting such as 6K - 8K. Furthermore, while offering the highest image quality in its class, the High Speed Zoom Line has a compact construction and offers amazing value. FF Zoom Line is compatible with a full-frame image circle, and the optical performance is ready for high-resolution shooting such as 6K - 8K. It provides a rare option for cinematographers since very few lenses can cater to the requirements of the latest digital cinema cameras' image sensor, which is larger than Super 35, and expand the range of compatible cameras. This is the cinema zoom lens offering the highest image quality and compact design. This lens is not available in PL mount.